Holy crap! Is that a giant Flying V, or has someone finally invented the shrink ray?! 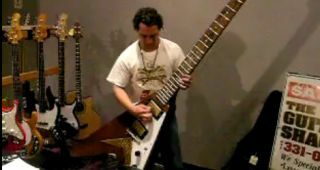 Nope, we're pretty sure it's just a guy rocking out on a giant Flying V.